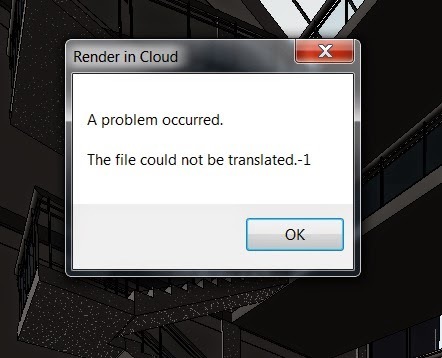 I recently installed Revit 2014 and encountered a problem when rendering in the cloud. 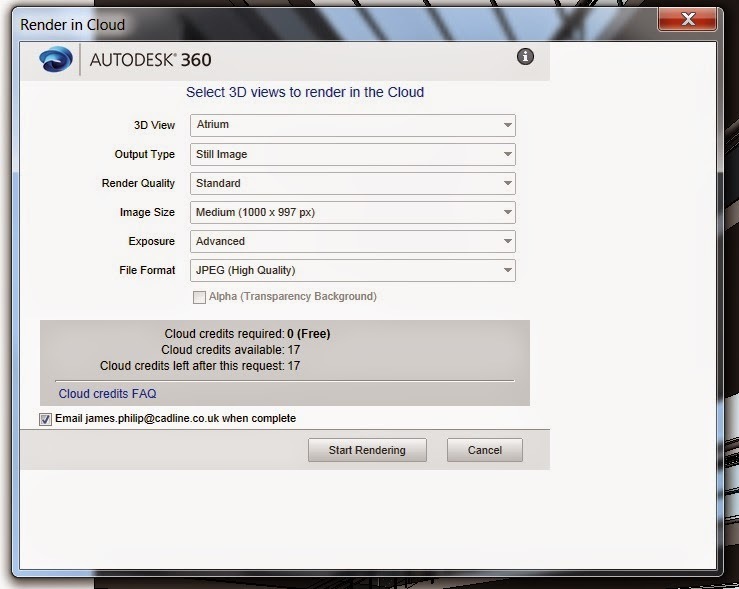 After selecting the render in the cloud button, I choose my options in the dialogue box that appears (below) and hit start rendering button. This could be due to a conflicting element ID in your model, which caused the translation failure. The solution is to rename the conflicting category, normally this has special characters in the name, that should rectify the problem. Another remedy is to hide the stairs which works perfectly, unless you needed to show the stairs in the rendered view. These issues are resolved by installing the latest service packs for Revit 2014, or by upgrading to a newer version.